CHELSEA (WABC) -- An Eyewitness News crew came across a bizarre scene in Chelsea Tuesday night. 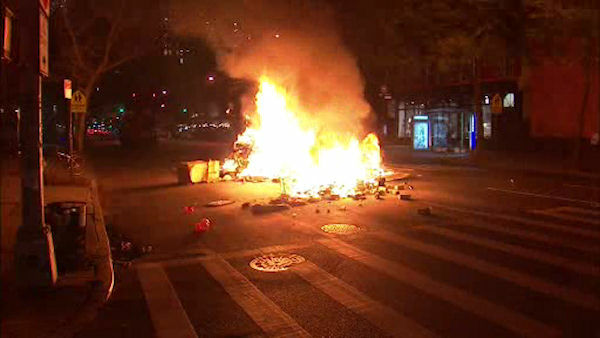 A huge pile of trash was burning right in the middle of 10th Avenue. This all happened 21st Street and 10th Avenue. Firefighters soon arrived and got to work putting out the flames. It's not yet known how the rubbish got into the road and caught fire.